If you want to enjoy Dive and Stay we recommend you to stay in our own lodge, just in de garden of our divecentre. 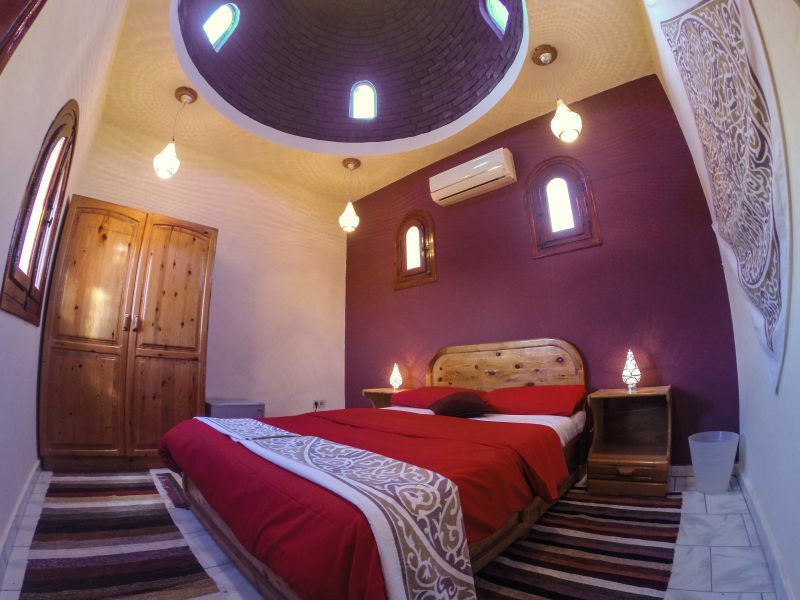 We offer seven standard twin and double- bedded rooms with air condition, small fridge and a private bathroom with shower. The rooms are situated in a spacious garden in the back of the Dive Center. Rooms are available starting from € 20,- per night. Our garden rooms are wheelchair accessible and we have a family room that sleeps 4 persons. Would you like an alternative hotel? Off course we like our guests to stay in the Lodge. 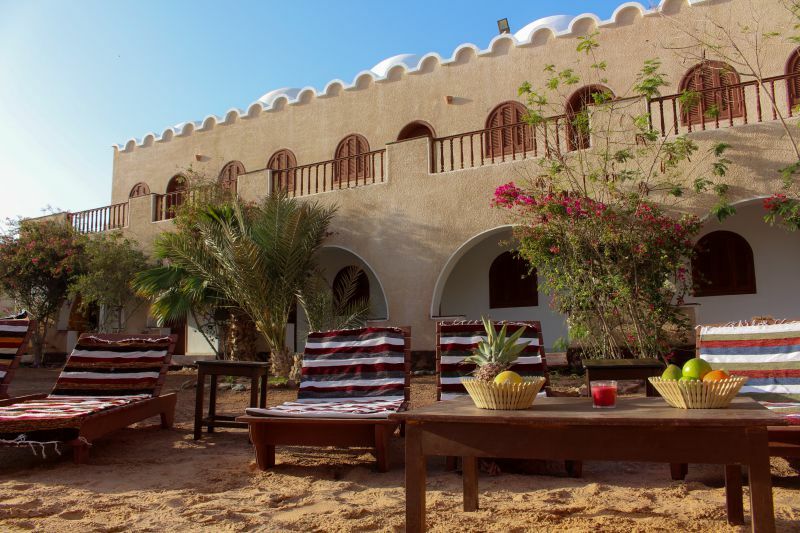 If the lodge is occupied, or if you have special needs or preferences, there are also a few other places in Dahab we recommend based on your needs and the budget you have in mind. Check out Recommended places or send us a message with the information needed and we'll let you know what is available.